With Fall in full effect, we wanted to take a few minutes to offer you some handy tips that will help ensure you're ready for some of the hazards colder temps bring with them. Ensuring that your gutters are free of sticks and leaves will reduce the risk for ice dams when winter rolls around. Neglecting this task can wreak havoc when the weather turns colder. When winter arrives, these clogged gutters can cause water to freeze and back up, causing structural damage to roofs, not to mention water that can form dangerous-looking icicles. Let’s re-phrase that. Have your roof checked by a certified Dallas roof repair expert (ahem, like us). 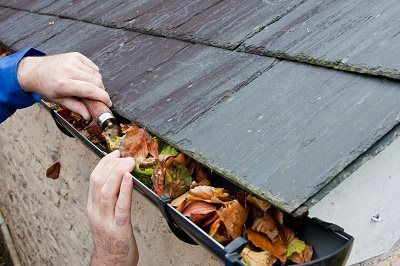 Ensuring that there are no loose shingles, checking skylights and chimneys for leaks and cracks, and looking for other structural damage are part of this critical pre-winter task. Lower temperatures can often yield chilly spells in the home’s interior if it isn’t properly insulated ahead of time. Depending on the type of system that heats your home, there are a few steps that can help keep bedrooms and kitchens warm until spring arrives. First, homeowners should check places that cold air can get in and seal them. This helps keep mice and other small creatures looking for a warm place to nest, as well as cold weather out of the house. Caulking windows, cleaning and inspecting chimneys, and cleaning humidifiers are part of making sure your home is properly sealed. Make sure that overhanging tree branches are trimmed. Again, if left unattended these branches and debris can clog your gutters and damage your roof shingles. Again, let’s re-phrase that. Have your attic ventilation assessed by a Dallas roof repair expert. Often times, homeowners will focus on external factors when it comes to roof damage, however, what’s going on inside your attic and have as much to do with why your roof is under-performing. Improperly insulated and poorly ventilated attics can lead to huge heating bills.